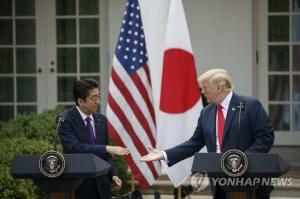 U.S. President Donald Trump announced Thursday that his meeting with North Korean leader Kim Jong-un will take place in Singapore June 12. "The highly anticipated meeting between Kim Jong Un and myself will take place in Singapore on June 12th," Trump tweeted. "We will both try to make it a very special moment for World Peace!" Trump's tweet came just hours after three American citizens were brought home from imprisonment in the communist country. Their release cleared a major obstacle for the upcoming meeting, which will be the first between sitting leaders of the two countries. Trump and Kim are expected to discuss the dismantlement of the regime's nuclear weapons program. Trump's aim is the complete, verifiable and irreversible denuclearization (CVID) of North Korea. Kim has repeatedly expressed his commitment to denuclearization, but it's unclear on what terms. The historic summit comes on the heels of a series of meetings between the North Korean leader, South Korean President Moon Jae-in and Chinese President Xi Jinping. 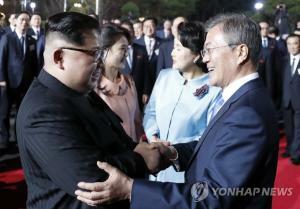 The flurry of diplomacy set in this year after Kim reached out to the South over his country's participation in the PyeongChang Winter Olympics in February. 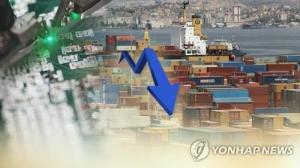 Just last year tensions had soared as Trump and Kim exchanged threats and personal insults over the North's testing of nuclear weapons and intercontinental ballistic missiles, which invited growing international sanctions against the regime. U.S. Secretary of State Mike Pompeo traveled to Pyongyang Tuesday to fine-tune the details of the summit. 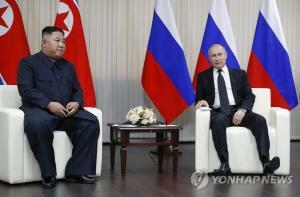 He met with Kim for the second time following a meeting in April. Kim released the three Korean-American detainees, who had been charged with espionage or "hostile acts" against the regime, and Pompeo flew back with them to Andrews Air Force Base, outside Washington, early Thursday. 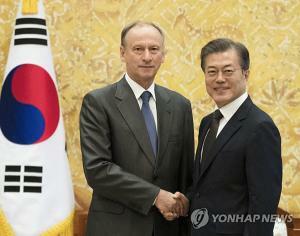 In Seoul, South Korea's presidential office, Cheong Wa Dae, welcomed the announcement of the summit. "We hope that this summit will successfully bring denuclearization and lasting peace to the Korean Peninsula," Kim Eui-kyeom, a presidential spokesman, said in a text message to reporters. Moon is scheduled to meet with Trump at the White House on May 22 to coordinate the allies' positions ahead of the U.S.-North Korea summit. The South Korean president has been seen as a mediator in efforts to get Trump and Kim to sit down and resolve the nuclear threat. Moon himself has credited the tough resolve of the American president and suggested Trump take the Nobel Peace Prize if the Koreas achieve peace. 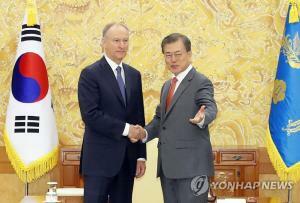 Last month the Korean leaders held their own historic meeting inside the Demilitarized Zone dividing the two sides. They agreed to pursue "complete denuclearization" and a peace treaty to formally end the 1950-53 Korean War. The Koreas remain technically at war after the conflict ended with an Armistice Agreement signed by the North, China and the U.S.
Kim reportedly told Chinese President Xi this week that he would have no reason to hold on to his nuclear weapons if "relevant parties" -- an apparent reference to the U.S. -- dropped their "hostile policies" and removed "security threats" against his regime. Trump and Kim could discuss the issue of a peace treaty as part of negotiations to dismantle the nuclear program. Singapore was seen as the likely venue after Trump ruled out the DMZ on Wednesday. Before that he had shown an interest in the inter-Korean border zone, saying a "great celebration" could be had there if things worked out. But Trump's aides reportedly viewed the DMZ as being too close to Kim's turf. Other potential sites included Mongolia, Sweden and Switzerland, where the North Korean leader went to school. Singapore welcomed the news. Its foreign ministry said in a statement: "We hope this meeting will advance prospects for peace in the Korean Peninsula." Details of Trump's itinerary have yet to emerge, but it's possible he will fly directly to Singapore after attending a summit of the Group of Seven major economies in Canada June 8-9. The landmark Shangri-La Hotel could play host to the historic talks. "The location will be safe for both sides. 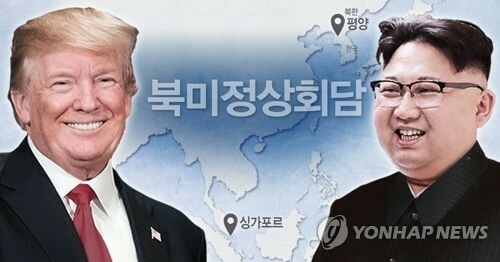 Security will be top notch and media can come," Mike Green, a former White House National Security Council official, said in an email to Yonhap. "That matters because Trump and Kim are more focused on performance than real results at this point. I suspect there will be historic-seeming announcements, but nothing that comes even close to CVID upon closer inspection." Still, the process could be used to move closer to denuclearization if the U.S. is careful not to ease sanctions and deterrence against the regime too early, he added.